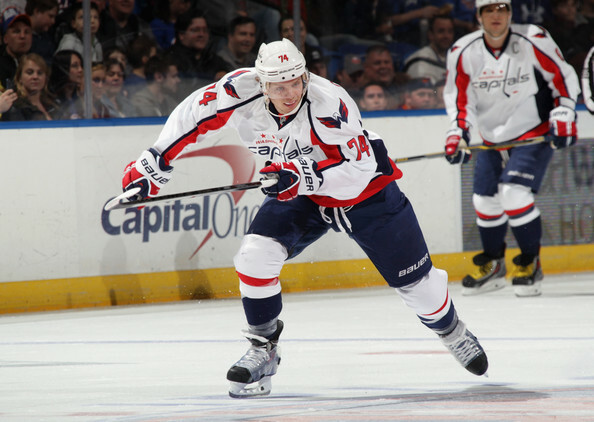 It seems like the blink of an eye ago, John Carlson was taking the ice for the first time as a Washington Capital. It was back on November 20, 2009 against the Montreal Canadiens. In a 3-2 loss to the Habs, Carlson did not record a point in 17 minutes and change of ice time and had only one shot on goal, but he did record what for him would be a season high in hits (five). Perhaps it was an adrenaline rush. He would not record that many hits in a game until April 2012 when he had five against those same Canadiens. Now, eight years later, Carlson embarks on a season that could put him among the all-time leaders among defensemen in Caps history in a variety of categories. If he appears in 74 games this season, he would become the eighth defenseman in team history to dress for 600 regular season games. With 76 games played he would pass Scott Stevens for seventh place on that list. With 14 goals this season he would pass Sylvain Cote for seventh place among Caps defensemen. If he gets 45 assists he would pass Mike Green for sixth place on the all-time list. Six points and he passes Cote for seventh place on that all-time list. If he finished with a plus-20, he would pass Jeff Schultz for fourth best in team history. Why are these numbers important? John Carlson is entering the final year of a six-year/$23.8 million contract. Come next July 1st, he could be the biggest prize available among free agent defensemen, and climbing the all-time rankings among Caps defensemen will only boost his value. One thing that might help is more consistency. Looking at his ten-game splits from last season, the thing that one notices is inconsistency of production from segment to segment. Part of that was due to injury (he missed six games of his fifth ten-game segment and posted only three points), but the production also withered a bit as the season was winding down. He was 4-8-12, minus-3, in his last 30 games despite averaging almost 22 minutes a game in ice time. In his last 15 games he was 3-2-5, minus-6. Odd Carlson Fact… In the eight years he has been in the league, John Carlson is one of only nine defensemen in the league so score 50 or more goals, record 200 or more assists, and post a plus-50 or better. It is an impressive list, indeed. John Carlson has had a certain consistency over his career that places him in the upper echelon of Caps’ defensemen. Only four Capital defensemen in club history have more 30-point seasons than Carlson (six). No Capitals defenseman has more seasons with three or more game-winning goals than Carlson (four), and he has 10 such goals over the last three seasons. He was among the top-20 defensemen in the league in power play points last season (16) despite ranking 31st in power play ice time per game. It will take something better than last season to make Carlson a big free agent prize next summer, it would seem. Although he played in 16 more games in 2016-2017 (72) than he did in 2015-2016 (56), he had just one more goal (from eight to nine) and dropped a couple of points (from 39 to 37). His plus-7 was the worst among any of the six Caps defensemen appearing in at least 20 games, and his shor attempts-for percentage (SAT) was second worst among that group (49.55). The Big Question… Would a 14-45-59, plus-20 season – one that would allow him to move up in all those all-time team rankings – fall under the category of “possible” for Carlson? The short answer to that question is, “yes.” It would not be much of a stretch above what is, statistically, his best season. In 2014-2015, Carlson was 12-43-55, plus-11, in 82 games. That last number gets to the longer answer that follows, “it depends.” After playing in each and every regular season game in his first five full seasons in the league, Carlson has missed 26 games over the past two seasons to injury. If he misses upward of a dozen games, he will not hit those marks. Then there is the matter of his baseline. Over more than 500 regular season games, Carlson has averaged 10 goals and 41 points per 82 games. A career season would be, by definition, above the baseline, but hitting those marks would be considerably above his career 82-game averages. One factor that argues for the possibility is that Carlson is the defenseman on the top power play unit. He led the Caps’ blue line with an average of 2:38 per game last season. It was off his career highs for that statistic (he averaged over three minutes per game in both the 2013-2014 and 2015-2016 seasons), but it would appear for the time being he will continue in that role. There is also the very matter of his contract status. Not that Carlson (or just about any player, for that matter) is going to put personal numbers over team goals, but the fact that this is likely to be his biggest career payday might be the sort of thing that focuses the mind and effort to produce within that team concept. In that respect, seeing Carlson perform more consistently that he did last season would be a welcome sign. With the departure of long time teammate Karl Alzner, Carlson is now the dean of the Washington defense in terms of games played in the organization (526 games with the Caps to 283 for…get this…Dmitry Orlov). With that comes a certain responsibility that is not limited to numbers. Being a moderating influence when things are not going well, being grounded when there is the temptation to get to high on success. Playing the game consistency and, dare one say it, the “right” way. It is a lot to ask for a player who will not be 28 years old until January, but then again, John Carlson has more than 600 regular and postseason games on his resume, not to mention some international experience sprinkled in as well. If the Caps have a very successful postseason – an uncommonly successful one – he could become the team’s all-time leader in postseason games played by a defenseman (he would have to play in 20 games next spring to pass Calle Johansson’s 95 playoff game appearances). It is all part of the path Carlson is taking as he approaches that fork in the road of unrestricted free agency.